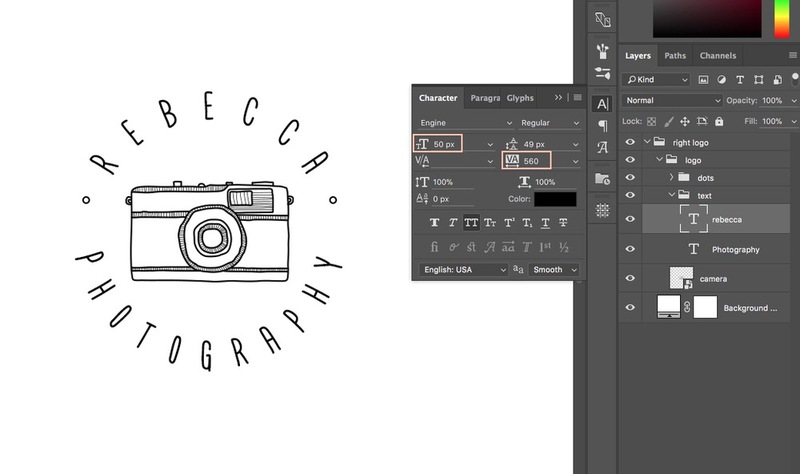 If you plan on using any of our 100 free photography logo templates but you’re not quite what to do with the template you downloaded, then this guide if for you! Hopefully, here we will answer all your questions about our free logo templates and how to use them. What can I do with these templates? All logo templates presented in our “100 free logo templates” page can be downloaded and used for free. You are welcome to download any template you like, modify it and use it as your own logo. You can use the logo on your website, on any printed materials such as business cards and stationaries, as watermarks on your work. Since these logo templates are made to be used for free as personal branding materials, you should not sell them to someone or advertise them as your own work. Should I credit you when I use the logo? When you download any of our 100 free logo templates, you will get a .zip file. Inside this file, you will find a Photoshop file with the logo and a simple text file containing links to font download and any other resources that might have been used in the logo you chose. After you downloaded a logo template, locate in on your computer and unzip it (double-click on the .zip file). Some of the logo files contain 3 photoshop files of the same logo and some of them contain only one. 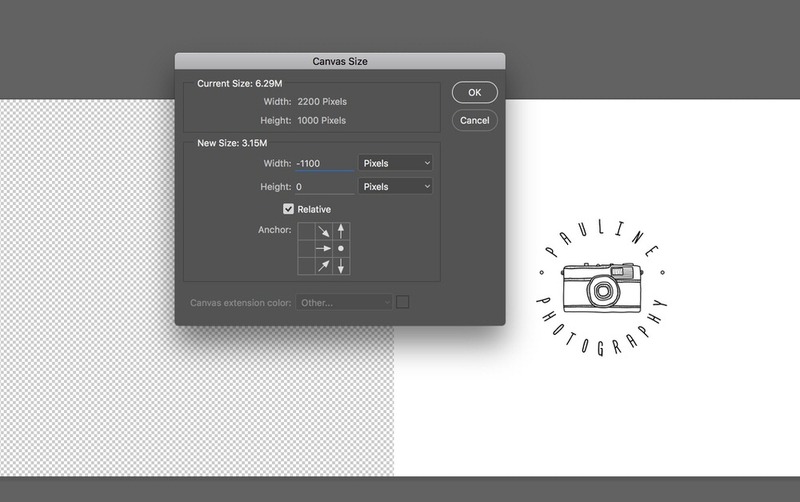 For this tutorial, we will use the file that all 100 logo templates have. It is the one called “01 Free logo by colormelon.psd” and it has a dark and a light version of the logo inside it. 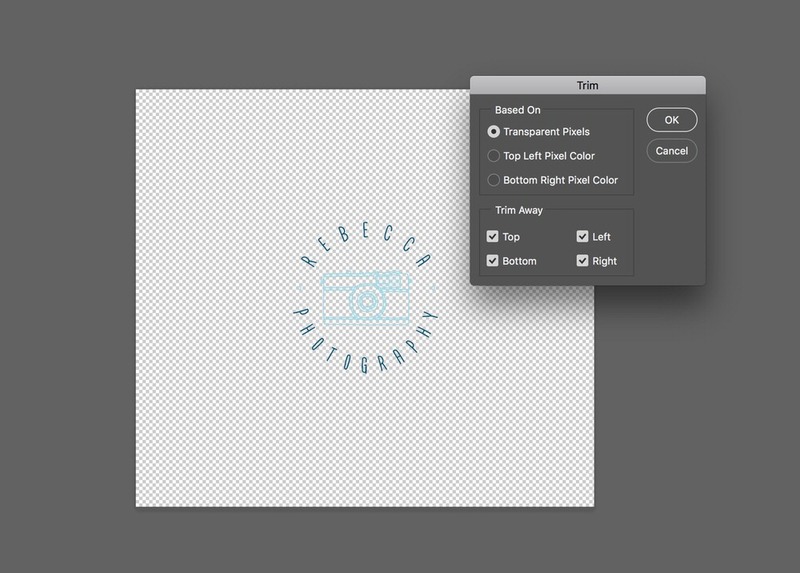 You will need Adobe Photoshop in order to edit the logo template. Photoshop Elements will not do in this case. If you do not have Adobe Photoshop program, you can download a free trial from Adobe website. Open the “01 Free logo by colormelon.psd” inside Photoshop. In your Layers panel (Window > Layers) you will see two folders. The “left logo” folder is for the light logo and the “right logo” folder is for the dark logo. We will be working with the dark logo version. A new panel will pop up. 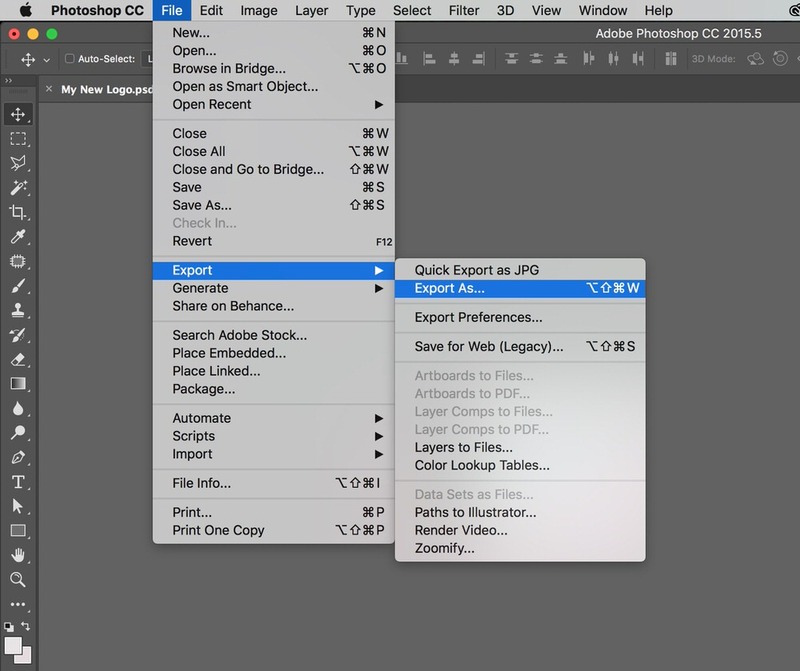 In the Document field choose “New” and click OK.
After clicking OK, a new Photoshop file will be created for you. Now if you look at the layers panel, you will see that in this Photoshop file there is only that one “right logo” folder. Now is a good time to Save your new Photoshop file, so go to File > Save As… so that you don’t lose it. Let’s clean up a bit so that it would be easier to work on our new logo. Make sure “Relative” is checked, position the anchor on the right, middle side. In the Width field type in -1100 and click on the OK button. All fonts used in our logo templates are free, just like the logo templates themselves. There’s a big chance that you don’t have those fonts installed on your machine so let’s remedy that right now. Open it, copy the font links (one or more..depending on the logo you chose) and paste them into your browser. Download your fonts from the websites listed in the readme file. Now you must install your fonts so that you can use them in Photoshop. The installation process differs for Mac and PC users so follow the instructions that are relevant to you. Now do the same for other fonts if your logo had more than one. Do the same for other fonts if your logo is using more than one font. The fonts are installed, we’re ready to customize our logo template. Let’s start with changing the text and then we will play around with the color settings. Go back to your Photoshop and select the Text tool (T). Click on the text you want to change. You will see that when you click on an editable text area, it will be selected in your Layers panel as well. If your text doesn’t fit quite right, you can play around with the text settings to make it fit better. You can do that by switching to the selection tool (V), in the layers panel select the layer containing text that doesn’t fit right. 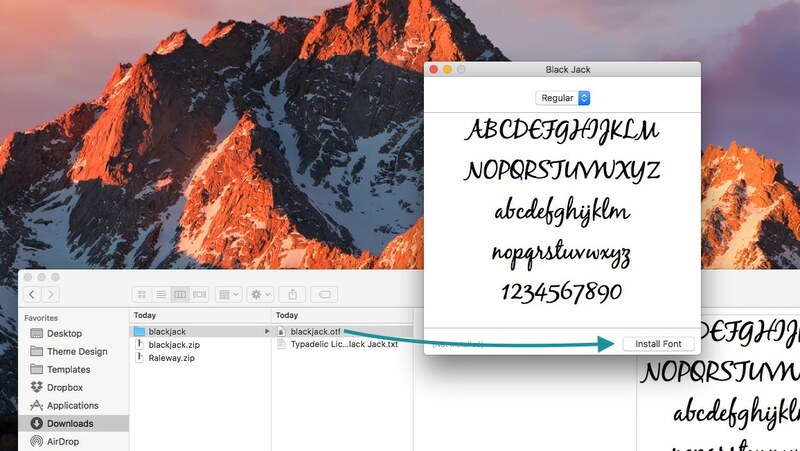 Open your Character panel (Window > Character) and play around with your font size and letter spacing. While you’re at it, you can readjust other elements in your logo as well. In my case, the Dots layer wasn’t centered, so I moved it around a bit to make it look better. Modify your logo even further by changing the colors. If you need to change your text color, use the same Character panel as before and click on the Color setting to change it. Just make sure that your text layer is selected, otherwise, the color change will not happen. Choose a color you like and click OK. When you’re happy with your new logo, let’s prepare it for export. The best way to save a logo is by exporting it as a PNG file. PNG files let you have an image with a transparent background so that when you upload it on your website or place it on top of an image, there will not be a white rectangle under your logo. Let’s disable our background. Go to your layers panel and click on the little eye icon next to the bottommost layer (Background) to switch it off. The previously white background will turn into a checkered pattern indicating that it is transparent. You will be left with a tightly filling logo graphic. We’re ready to export our logo. First, fit Save (Cmd+S or Control+S) if you haven’t already done that. Make sure file format is set to PNG and Transparency is checked. Click on the Export All button and save your logo file on your computer. Now that you have a ready to use logo image, you can upload it to your website. If you don’t have a portfolio website of your own yet, you can check out our premium WordPress portfolio templates for photographers here or if you’re not ready to spend just yet, we have a tutorial on how to create a free portfolio website. 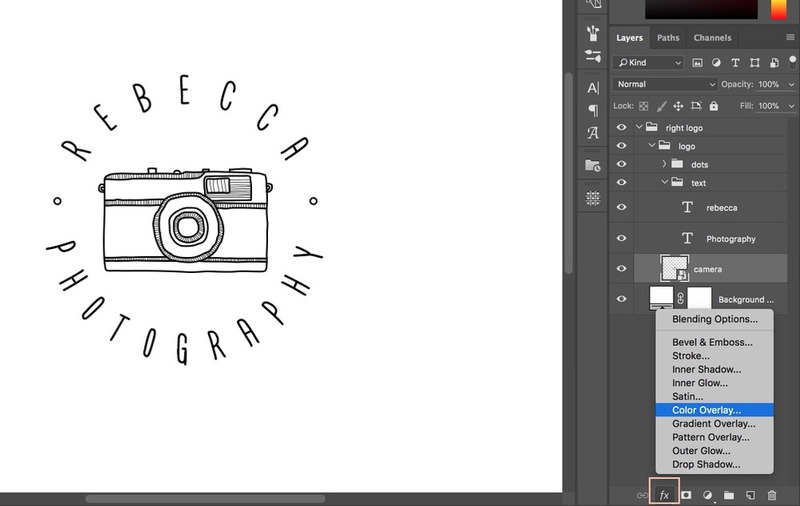 Another way you can use your new logo is by placing it on top of your images as a watermark. You can do that by using Photoshop or Lightroom. 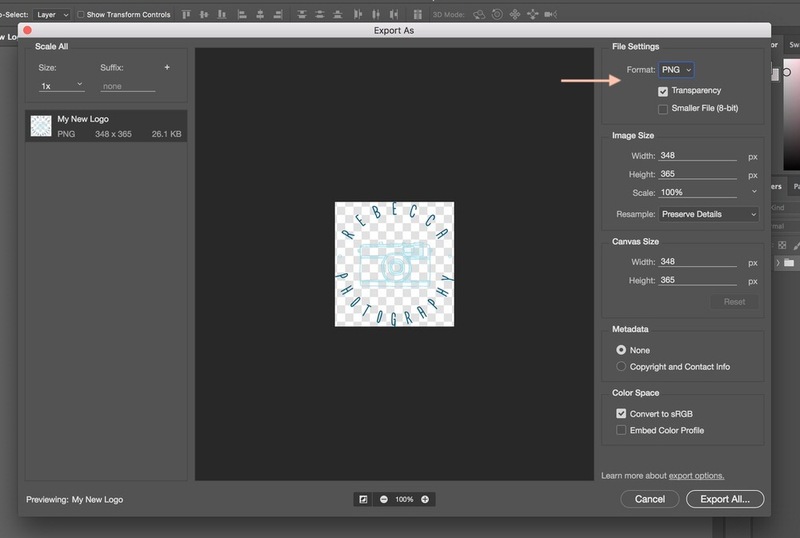 If you have an image that needs your logo on top of it, you can use Photoshop to do that. Go to File > Place Embedded… and select your logo image from your computer. Position it, resize it (cmd+T or Control+T) on top of your image. You can even play around with the opacity settings if you want to. 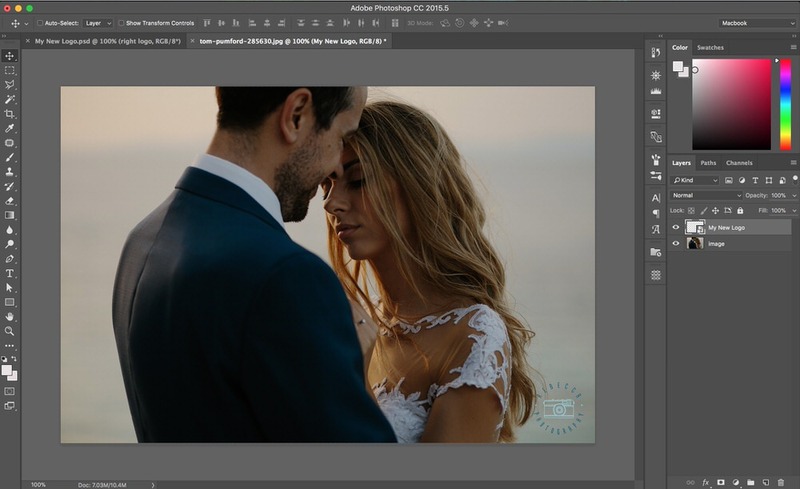 The most convenient way to watermark your images is by using Lightroom because Lightroom lets you watermark multiple images at once. If you’re interested in how to watermark your images in Lightroom <–click the link! 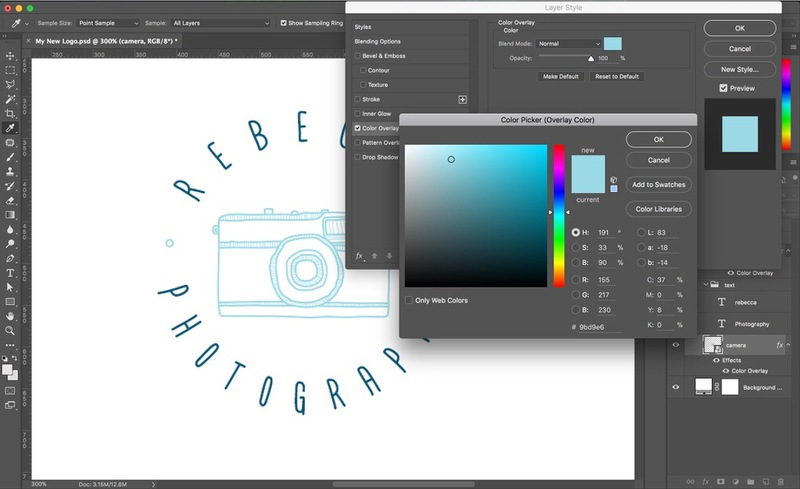 We hope that you found this step-by-step tutorial on how to edit, save and use your new logo useful and at the end of it you are left with a great looking logo of your own! If you have any questions, feel free to ask them in the comment area and we would love to see which logo template you chose and how it turned out! 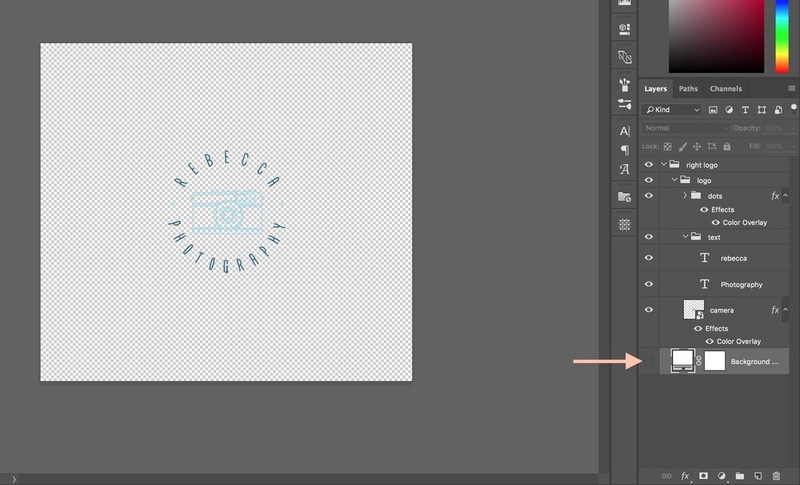 Im having problems in exporting my logo because my photoshop doesnt have any “export as” button, is there any remedy for it? I’m having issues resizing the image of the Flash it continues to stay huge or awkwardly shaped as I try to resize it. I chose the Flash logo. Any tips on how to resize? Sorry to hear that you’re having trouble. I’m afraid that it’s all trial and error when it comes to resizing, so I can’t really suggest anything without seeing what you’re doing and how it ends up looking. I do offer basic logo customization services for a price if it’s something you might be interested in. If you’re up to it, send me a message through my portfolio website here. Wow, Wow, Wow! You have really saved me. You guys are AWESOME. Thank you so much.